North Carolina is the state I currently call home and also the state I was born in and attended college in. Welcome Roy Cooper, a governor for us all! 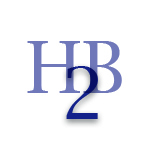 Roy Cooper was recently elected the governor of North Carolina and he is the best choice to get the state back on track after helping to repeal HB2, bring back businesses and entertainment events that left the state due to HB2 and overall his leadership will make North Carolina great again (MNCGA). My favorite part about North Carolina is the pro-economy, the diversity of the people of North Carolina and the over-all friendly-ness and progressive nature of the State. We took a hit from the last four years of Pat McCrory and the Republican legislature, but as Roy Cooper himself said, he will make it a priority for businesses, events, and people to “Come Back to Carolina” after the disaster that was Pat McCrory. The recent events that have unfolded in Charlotte, North Carolina are unsettling and disturbing. 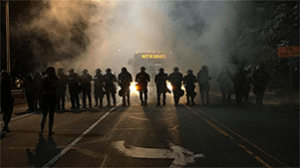 A man was shot and killed by police, which brought out protesters and in some case rioters in the Queen city, the largest city in North Carolina. A modern city wich is a banking hub and home to sports franchises, the Carolina Panthers (NFL) and Charlotte Hornets (NBA) as well as home to NASCAR. This was just the latest in a string of violence between the police and black men over the last several years where black men have been killed by police officers and it has been on social media, filmed on camera phones, played out in the media and lead to protest in the particular city where it took place. This has lead to a divided nation and no trust between the police officers and the communities in which they serce.